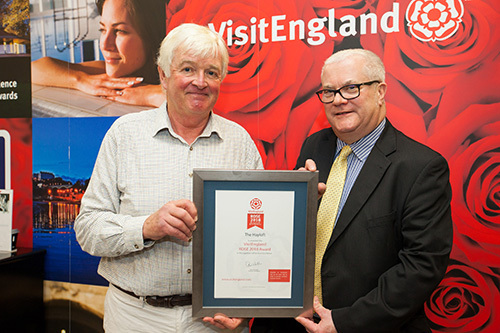 Richard receiving the Rose Award from the England Director of Visit England, Andrew Stokes at Olympia, October 2018. 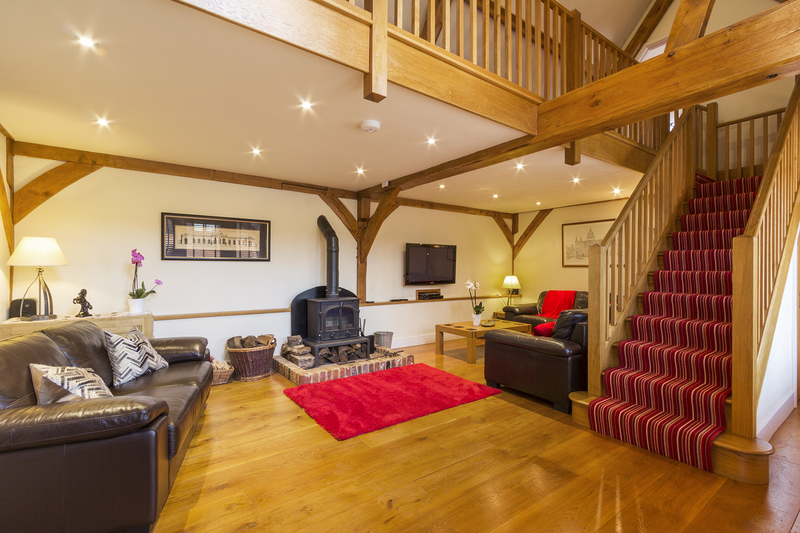 The Hayloft at Chislet is a stylish blend of the traditional and modern. A thatched barn nestled away down a quiet lane in a very small village, it will seem a million miles away from your busy lifestyle. And yet, a lovely surprise awaits you as you push the handle and open the door. 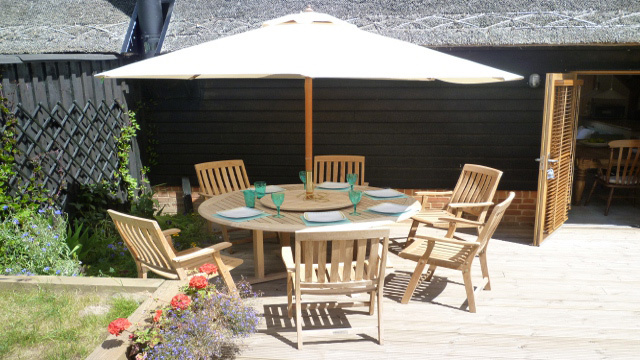 The Hayloft is a luxury holiday cottage Canterbury Kent, offering stylish luxury self-catering holiday accommodation sleeping six people, with all the modern comforts that will make your stay a joy. 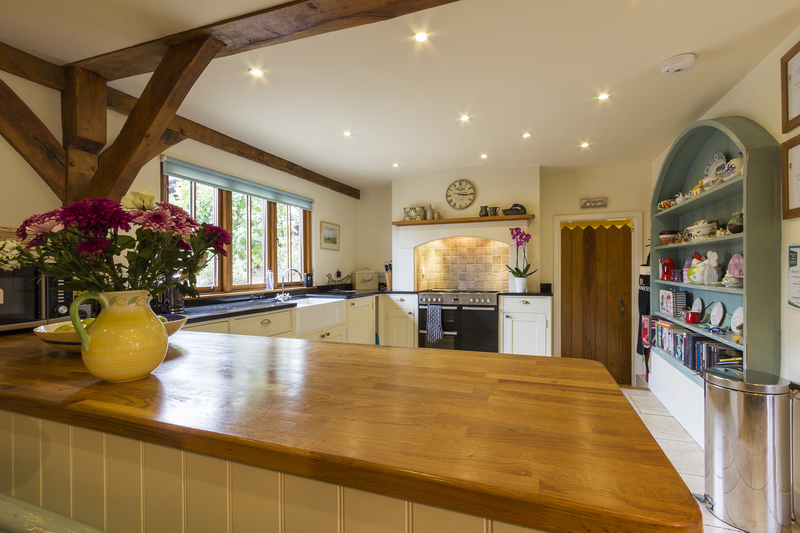 Our luxury holiday cottage near Canterbury Kent has been awarded 5 Stars and a 5 Star Gold rating by Enjoy England, the official quality assessors of holiday accommodation in England. We are only 8 miles from the historic city of Canterbury, with its stunning Cathedral and medieval city centre. It is also in easy reach of the coastal towns of Ramsgate, Broadstairs and Whitstable, and the excitement of London is just a day trip away. For those just looking to relax, we have wifi, SKY tv and there’s even a spare TV on the landing to plug in the kids’ games console. We have a log-burning stove for those chilly nights, and a sunny patio with BBQ for those precious summer evenings. The kitchen is fully equipped and we are set up to welcome even the smallest guests with a travel cot and highchair. We can also accommodate guests with reduced mobility in our downstairs ensuite bedroom. You will receive fresh eggs from our garden whenever the hens are in the mood for laying. We can also organise beauty treatments and take in your online shopping for you. The owners, Richard and Lindsay, look forward to welcoming you at the Hayloft. Look at our photo gallery for more pictures! The ideal kitchen for cooking enthusiasts with granite worktops, a range oven and gas hob, and a microwave and dishwasher for more lazy days. 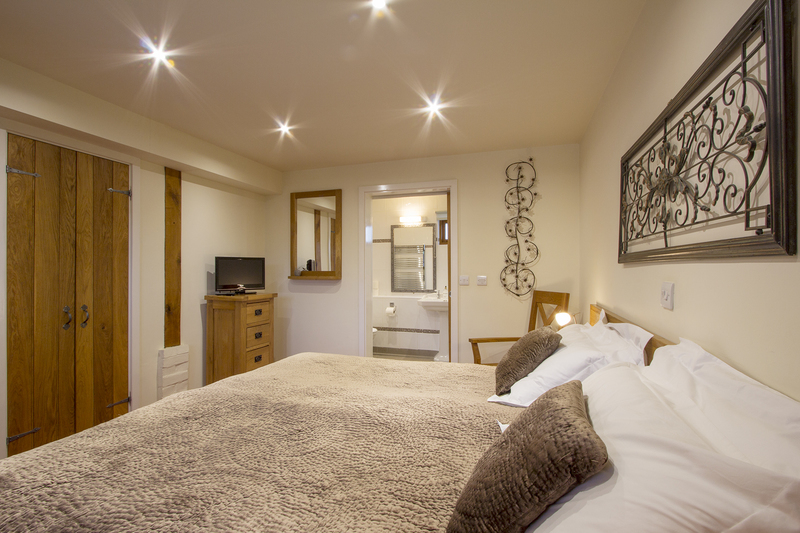 The Hayloft has three bedrooms, each with crisp White Company bedlinen and co-ordinating towels. Two of the rooms can be made into twin bedrooms.